depth of field | heavensentfilms blog - film, edit, and inspire others. 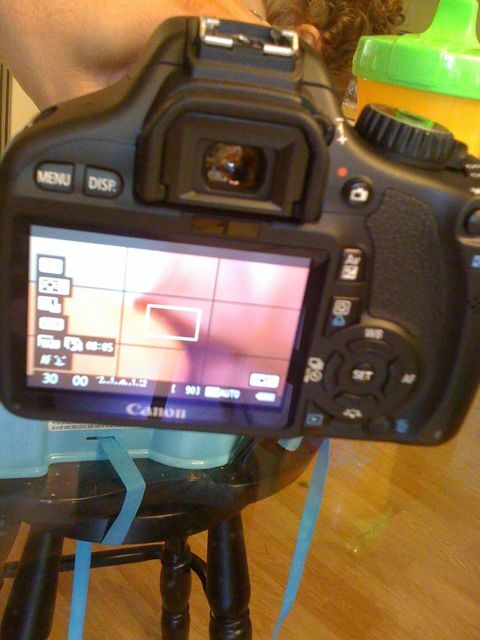 So I think I finally figured out how to balance the glidecam and T2i a little better. First I added weights to the top of the T2i because it seems to be really light with the kit lens I am using right now. 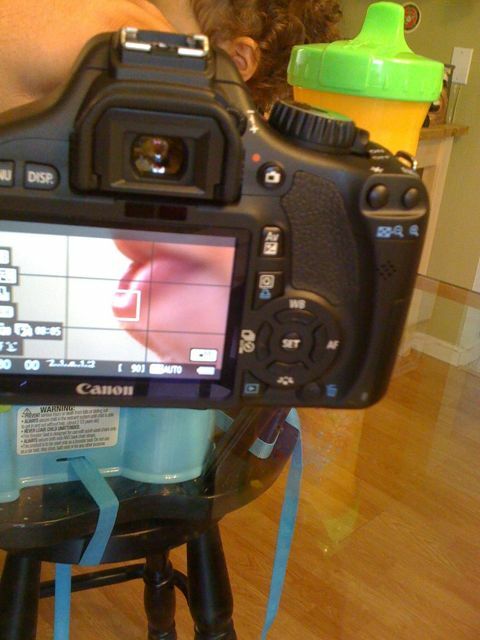 I added 2 glidecam weights to the hotshoe adapter and added 2 more weights on each side of the glidecam bottom sled. So total weights on the glidecam sled comes to 4. Two on each side. I guess I am really trying to figure out how to get the glidecam completely balanced. My first try was with the T2i (with giottos QR) on top of the glidecam and only 2 weights on the bottom sled so 1 on each end. This seemed fine but the heavier I make the glidecam the smoother my footage seems. The only drawback is my arm being kinda weak holding this whole thing. I can easily do a minute run before taking a break by grabbing the glidecam with my left hand to help prevent my right arm from falling off. Actually, I think it’s more like 30 to 45 seconds but I will round up to 1 minute of flying to make myself feel better. If there is anyone else flying an HD 4000 with a light dslr, specifically the Canon T2i, please let me know how you have this setup but only if you have it perfectly balanced. I don’t even know if that is possible with my setup. It seems to be statically balanced because I can go from the ground up with no problem with it tipping. I can also go side to side, forward, and backward without too much tipping on top or bottom now. But the issue is really the dynamic balance I believe. When I go to spin the center column while holding it I notice a slight tipping action when watching the gimbal and camera. So maybe I don’t have the center of gravity figured out yet. Seems impossible even with the Giottos QR which has 2 bubble levels to help with balancing the T2i so it looks straight ahead. Here are some pics and there is a new video of my daughter showing off the glidecam flying but with less weight on it in those scenes from what I remember. Here is the latest heavensent films video. I had an awesome time filming Andie & Tyler during their engagement photo shoot. They were kind enough to let me drag around all of my equipment while they were being photographed by Ramsey Ksar . Ramsey is very professional when it comes to shooting couples in an engagement session or a wedding. He did a great job assisting me in some of the shots you see in the video. I also had to interrupt his smooth photo session to setup some of my own shots but luckily Ramsey was cool (like usual) with me doing this to his workflow and we both ended up with the shots we wanted. Now for the technical side of things. I lugged around my diy slider attached with a bolt to a smaller light weight bogen tripod. I also had with me a bag of lenses (fd lenses with adapter) so that I could quickly (more like slowly) change lenses to get the most amazing bokeh video images. 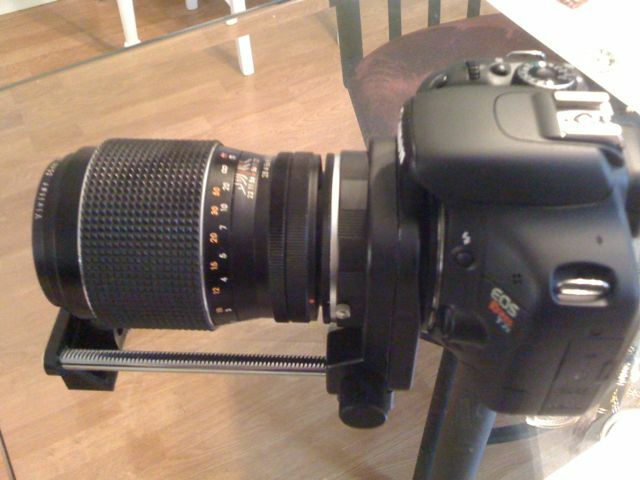 I vow to eventually upgrade these fd lenses to real current state of the art lenses someday. Doing that would make things go WAY smoother and faster while trying to film as the sun is going down. I also used for the first time (purchased 2 days before this) a Glidecam HD 4000. Luckily I had 1 day to practice outside before this day because it helped me achieve some mostly fluid shots while trying to fly my T2i around on it. I have quick release plates on everything so that made it a breeze to setup everything but the lenses were another issue entirely. This engagement session was shot at Wilder Ranch off of Highway 1 in Santa Cruz. Ramsey and I were lucky enough to get the same weather as we did the week before when we went scouting this location. We waited a few days because of some rain and found the perfect day (a little colder than we remember) again with the sunset. As for the couple, they were really fun to film and let us get all the shots we needed of them having fun together. And of course Andie had HIGH HEEL boots on the entire time. We forced her to hike all the way to the coastal cliffs in them and she made it look easy. Tyler seemed to enjoy all of the setup shots I made them do and occassionally you can see his “Cool” look (the bench scene). They both seemed to have fun the entire time and I want to thank them for being such great sports for Ramsey and I. The Hawaii wedding shoot was a complete success! Thanks to all of you who watched online and participated in the chat. The videos on u-stream were also recorded so that others can watch it at anytime. The entire setup with photos and video will be posted once we all return home and edit everything. Thanks for a beautiful wedding put on by Grace Adkinson-Spencer and Michael Spencer with amazing decorations. And an awesome location provided by Bud and Flora Spencer. Congratulations to both Donald and Kandice Reeb! 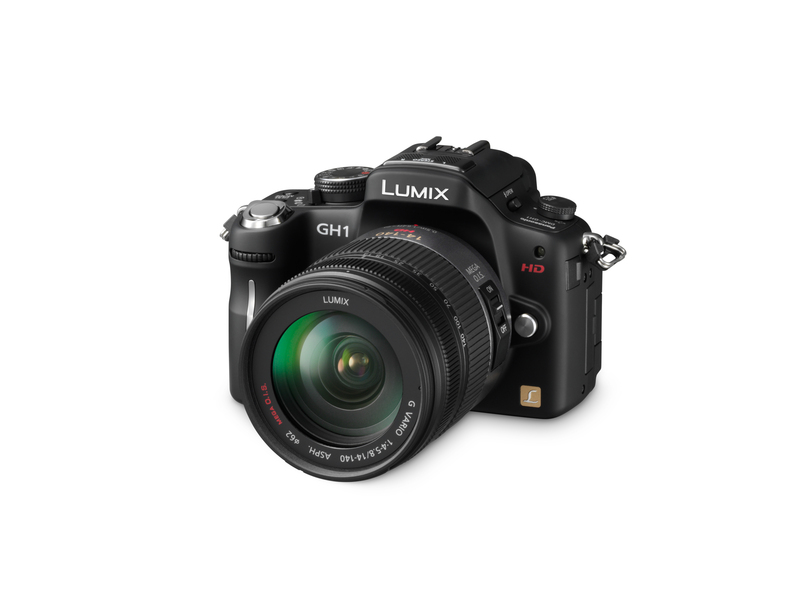 There now is a DSLR camera from Panasonic called Lumix DMC-GH1 that can shoot video at 1080p @ 24 fps. The huge difference with this camera compared to the Canon 5D Mark II (1080p or 720p) or Nikon D90 (only 720p) is that the Lumix can not only shoot at 1080p @ 24fps but it can also shoot with Auto Focus face detection technology while you shoot video! 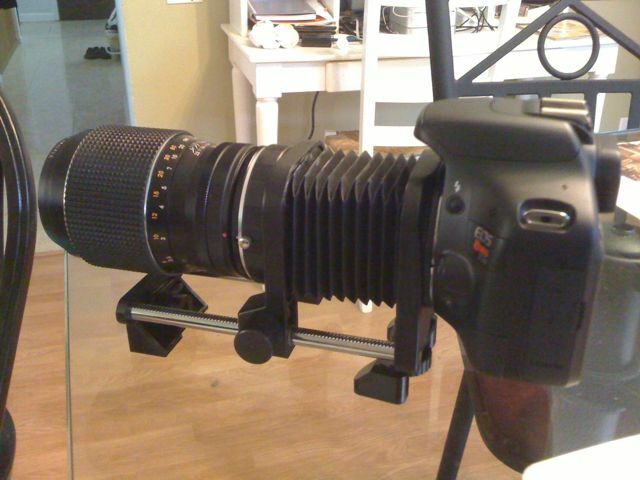 So there is no need to use a Follow Focus with this lens. This will be awesome for those run & gun situations event videographers encounter all the time. Of course we don’t know how well this works in real life but it sure gives us hope that maybe the RED team will integrate this into the Scarlet before it is launched or in a near future upgrade. By eliminating the focus puller when utilizing a 35mm adapter and a follow focus, you will then be able to run & gun live events without the need of someone helping you keep focus on moving subjects. This camera also gives the user the ability to use an external stereo microphone which is definitely handy for event videographers. When watching his videos look at how he doesn’t use the “Zoom” function on his high end video cameras. A nice rule to live by when using your video camera is to move closer to your subject if you want to get a closer picture. 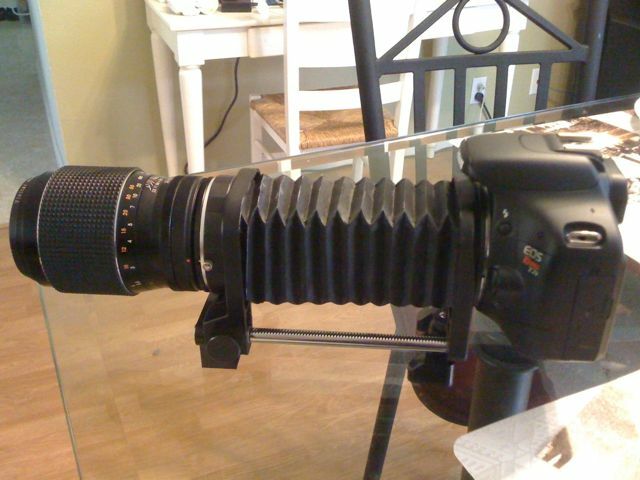 Also, if you are using any 35mm adapter on your video camera you will not be able to use the zoom function because of having to zoom in on the 35mm adapters “focus screen” or “ground glass” which is where the image from whatever lens you use is projected onto. This is also explained more in his video demonstration.